Rétromobile and the National Motor Museum of Beaulieu present 3 monsters from the record books. This is the oldest British racing car to have survived until the present day. One of the events in which it raced was the famous Gordon Bennett Cup in 1903. It was in this car that racing driver Charles Jarrott swerved while accelerating and ended up in the ditch. Both he and his co-pilot were injured and the Napier itself was partly destroyed. Belgian racing driver Camille Jenatzy won the race, driving a Mercedes. 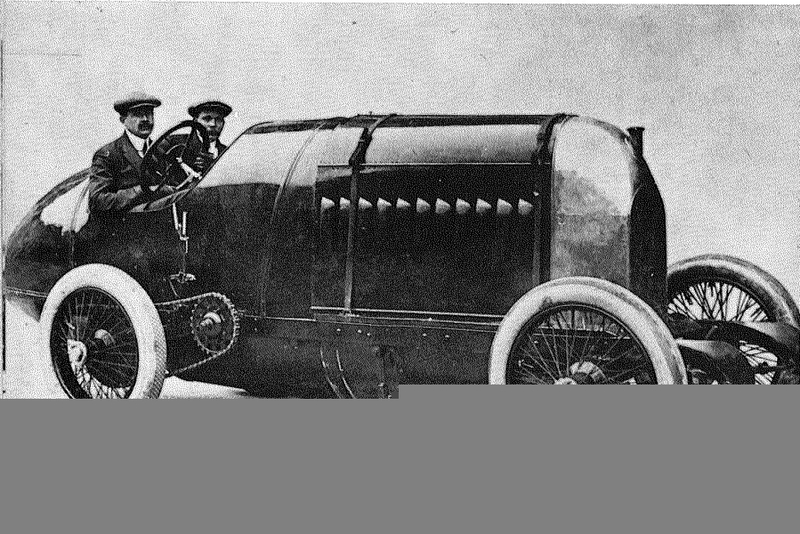 He was the first man to break the 100 km/h barrier, driving the electric La Jamais Contente car in 1899. The Napier then set sail for America and was not returned to its native country until 1987 when it was bought by the National Motor Museum of Beaulieu. To delight visitors, the Napier will be providing demonstrations, firing up its impressive 7.7 L 4 cylinder engine. 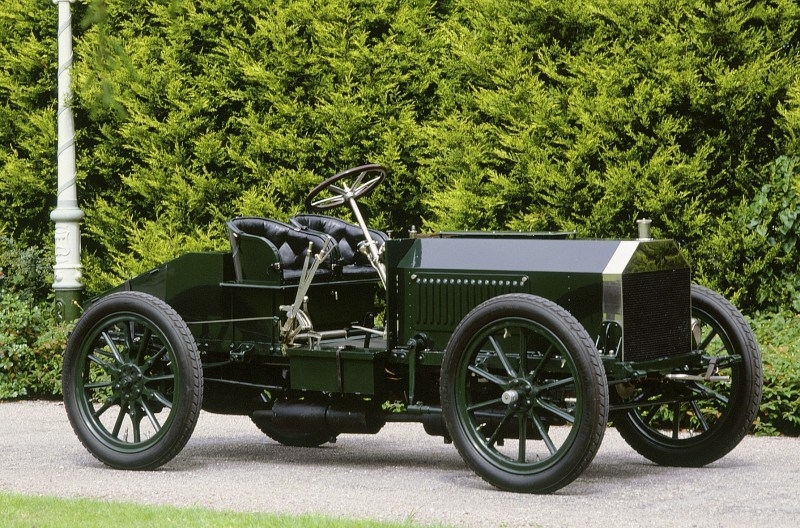 This is the fabulous story of the Darracq V8. Nowadays, most car manufacturers build vehicles that are capable of driving at very high speeds. But who remembers the day when – for the very first time – a car saw the light of day that could come close to the legendary 200 km/h barrier? The event took place in Florida, US, 110 years ago. In those days, all manufacturers were vying for the land speed record. In 1905, in Darracq’s plant in the Parisian suburb of Suresnes, a great deal was going on. Mechanic Ribeyrolles combined 2 four-cylinder engine blocks in a single crankcase, thus creating an enormous 8-cylinder V-configuration engine, the idea being to push the car faster than all the others. 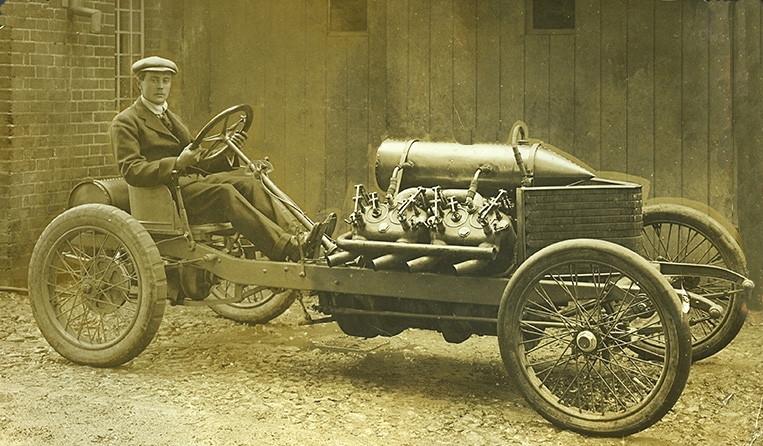 It was at the end of January 1906 that French racing driver Victor Demogeot started up the enormous 8-cylinder V-configuration engine in his Darracq. This impressive French car embodied mechanical power in its purest state. Its bare chassis – with no front brakes – featured two seats. And the complete absence of any bodywork left the enormous V8 engine out in the open air, topped off with its shell-shaped petrol tank. Once the engine had had time to warm up, Victor Demogeot completely opened up the throttle. Then with a thunderous roar, the enormous 25 1/2 L cylinder capacity V8 released its full 200 hp might and began tearing round the dirt racetrack, ultimately reaching a speed of 197 km/h. This legendary car will once again be firing up its enormous V8 engine as part of outside demonstrations. The FIAT S76, nicknamed the "Beast of Turin"
Some cars are memorable because of their size and their history. The FIAT S76 is one such car. This record-breaking car was designed by FIAT in 1911 specifically to beat the land speed record held at the time by the powerful 200 hp Blitzen Benz. Two of these mechanical monsters were built. Italian engineers mounted an impressive engine – originally designed to propel hot air balloons – on a chassis. 4 cylinders, each with a cylinder capacity of nearly 30 L, 300 hp at 1900 rpm for a weight that was not far off a tonne. This engine was a metal monument. Because the engine was so large, the car had to be built around it – the height of the bonnet considerably reduced the driver's visibility. Even when stationary it was impressive: nearly 4 m long, a 1.6 m high bonnet and a weight of 2 tonnes. Racing driver Felice Nazzaro was the first person to try the car in the streets of Turin. As soon as he fired up the engine, he knew that the car was in charge. The engine torque practically ate up the road, every bolt of the bodywork started vibrating, the steering became unpredictable and the brakes non-existent. With a thunderous roar, the enormous FIAT tore through the streets of Turin, spitting flames and spurting out thick wreaths of black smoke. When Felice Nazzaro finally cut the red monster's engine, he knew that there was such a thing as hell and that this car was extremely dangerous and practically on undriveable. But in spite of these worrying test drives, FIAT hired the famous Italian racing driver Pietro Bordino. He also made several land speed record attempts, but he never succeeded in beating the Blitzen Benz. Bordino stopped trying at the end of 1911: he had the fright of his life when the enormous FIAT skidded while travelling at more than 180 km/h, ending up stuck in the sand on Saltburn beach. This wild car was then sold to the Russian Prince, Boris Soukhanov. He also made a number of land speed record attempts. In December 1913 in Ostend, he reached more than 210 km/h, finally beating the record set by the Blitzen Benz. The car – he said – was impressive when it was idling and terrifying to drive. It was a constant battle to keep the beast on the straight line, but he had no control over it whatsoever on the bends because the engine weighed so much and there was no braking system. The car was then sent back to Turin at the end of 1913 after Prince Soukhanov had had a very lucky escape at Brooklands race track. The FIAT S76 was then sold to someone in Mexico, before crossing the oceans to Australia. It finally ended its unhinged life, a very long way away from its country of origin, destroyed in a serious accident. FIAT held on to the second S76. The Italian engineers decided that this infernal beast had to be neutralised. The car was put back together in 1920, before being dismantled. Out of respect for the technical prowess that it represented, only the impressive engine was kept. Nearly a century later, Duncan Pittaway, an Englishman who was an ardent enthusiast of the history of the FIAT S76 spent years researching this fabulous car. His determination and patience finally led him to a chassis hidden away at the back of a garage in Australia – most probably the FIAT that had been destroyed in the accident – and to an engine that FIAT had kept throughout the 1920s. The collector gathered up all the historical vestiges of the FIAT S76 and finally breathed new life into it. To delight visitors, Duncan Pittaway shared his enthusiasm and passion, staging demonstrations and firing up this mechanical monster.